Correcting common inaccuracies in climate change reporting and ensuring the correct environment information is shared, was at the core of a one day training session for future journalists and Environment Ambassadors on the topics of biodiversity, climate change and marine pollution yesterday. 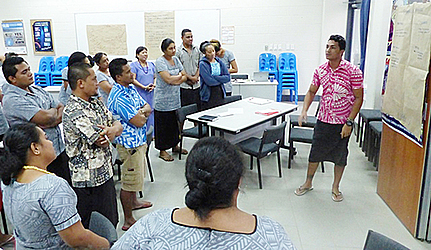 The journalism students from the National University of Samoa and crew members of the Gaualofa came together at the Secretariat of the Pacific Regional Environment Programme (S.P.R.E.P) for the special training. 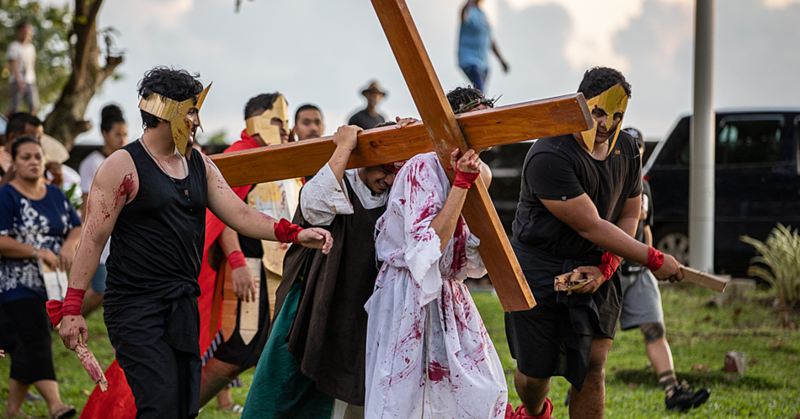 "One key aspect that both the journalism students and Gaualofa crew have in common is that they will both be sharing messages about our environment," said Nanette Woonton of the Communications and Outreach Unit of S.P.R.E.P. "We help where we can to ensure that when the time comes for students to write news about the environment they do so with confidence and accuracy. Likewise with the Gaualofa crew who will be sharing environment information and messages to people they come across when on voyage." 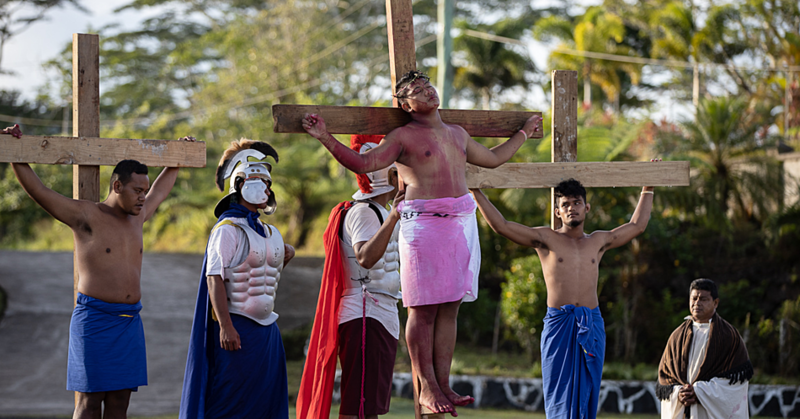 The training coordinated by S.P.R.E.P has been an annual event with N.U.S since 2012, this is the first time the Gaualofa Crew are taking part and it is hoped this partnership will strengthen over the coming year. To help ensure the information learnt is absorbed by the students, they are being tasked with developing news articles on any of the topics covered over the day. These will be judged with prizes awarded in commemoration of the World Press Freedom Day on 3 May this year and the winning stories showcased on the S.P.R.E.P Facebook page. "It was really interesting, I was always confused by some of the climate change terms which I found really technical but these were explained today and now they are very clear to me," said second year N.U.S journalism student, Katalina Tovia. "I really liked the interactive format of the training sessions today, all of it was really interesting, it made me think about how we take things for granted and we should understand that waste will pollute the sea and the fish, but keep in mind that we will be eating these and it can eventually come back to us," said Ms. Nefertiti Matatia, a first year N.U.S journalism student. The crew of the Gaualofa also found the training very helpful with plans in place for future training programs to strengthen their role as Environment Ambassadors when on voyage. 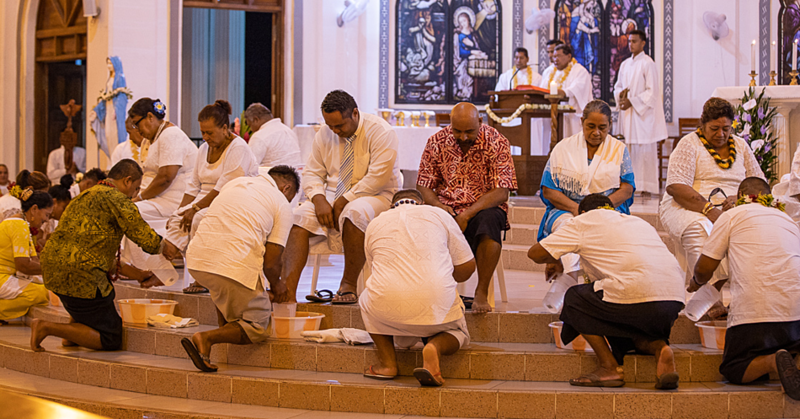 "It was good, very interesting – we're really keen on community impacts as that helps us share the message and information, when we can relate to it as Pacific islanders then we can share it confidently," said Captain of the Gaualofa Fealofani Bruun. The one day training was held at the S.P.R.E.P campus in Apia with presentations made by Lagipoiva Cherelle Jackson on Environment Reporting, and from S.P.R.E.P staff - Anthony Talouli on Marine Pollution, Peniamina Leavai on Climate Change and Easter Galuvao on Biodiversity and Nature Conservation. Stories written by the NUS journalism students on today’s events will be shared on the SPREP Facebook page on 3 May, 2016 - the World Press Freedom Day.